As soon as you turn seventeen it is pretty much a given that you will want to learn to drive as soon as possible. 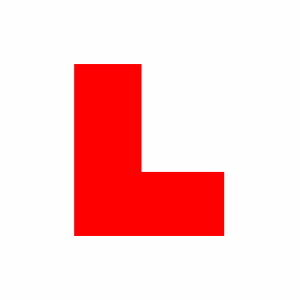 Most young people apply for their provisional licenses as soon as they are sixteen and it is quite common for youngsters to have their first driving lesson on their seventeenth birthday. However, passing the driving test is no longer the issue: the cost of running a car is becoming more of a problem for the younger generation. After paying for numerous lessons and then theory and practical test young drivers have to find the funds for purchasing a vehicle. Even after you have found a vehicle you then have to find an insurer that will provide you with a reasonably priced insurance policy. There are some brokers that specialise in young drivers insurance but you should expect your premiums during your first year to be much more expensive than any of the years to follow (considering you don’t make a claim). A recent survey conducted by National Travel shows that over the last eighteen years there has been a considerable drop in the amount of young people that actually hold a driver’s licence. In comparison to a report published in 1995, there has been a drop from 43% to just 31% of 17-20 year olds that hold full driver’s licenses. Between genders the biggest drop has been with males where it has decreased from 51% to just 30 % on average. However, the average amount of young females that hold a driver’s licence hasn’t decreased as much although there were less females driving in the first place. The figures fell from 36% to 31%. Those who have student debt and are looking for somewhere to live often leave learning to drive on the back burner (if they haven’t done so before going to university). This is because driving lessons cost around £25 an hour, then there is the practical test which can cost up to £75 and theory test which costs £31 each time you take it. In 1995, when the comparison report was first carried out, it cost around £3,250 to buy a typical first car (Ford Fiesta). Today this same car would cost you around £5,510 according to Glass’s, the motoring guide. According to the Retail Price Index the cost of living has increased by 76% since 1995, however the cost of maintaining a car has increased by 140% which is probably why many young drivers are finding it hard to get on the roads. In order to help young drivers we have come up with some ways in which they can reduce the costs of owning a first car. Firstly, before you go and purchase a vehicle, really research the costs that are going to be associated with it such as fuel, road tax and car insurance. A good rule of thumb is to not choose a powerful car because it is likely to be more expensive to insure and run in terms of fuel costs. There are other things to take into account too, such as value, engine size and the availability of parts. If your vehicle is no longer in production the parts will not be as readily available and therefore may be more expensive when they need to be replaced. You should also make sure you shop around as you might find the same vehicle at a similar age and miles for cheaper elsewhere. It is important to find out if your vehicle is classed as ‘Cat D’ and to run a HPI check on it to ensure that it hasn’t been stolen or has existing finance on it. You should also shop around for your young driver’s insurance policy too. There will be brokers that won’t insure you at seventeen, however at QuoteSearcher we have many that will. Simply fill in a form and we will contact our brokers who in turn will provide you with their individual quotes for you to compare. The first year you are driving is going to be the most expensive, so be wise about the vehicle you choose and don’t purchase the first vehicle or insurance policy you find.